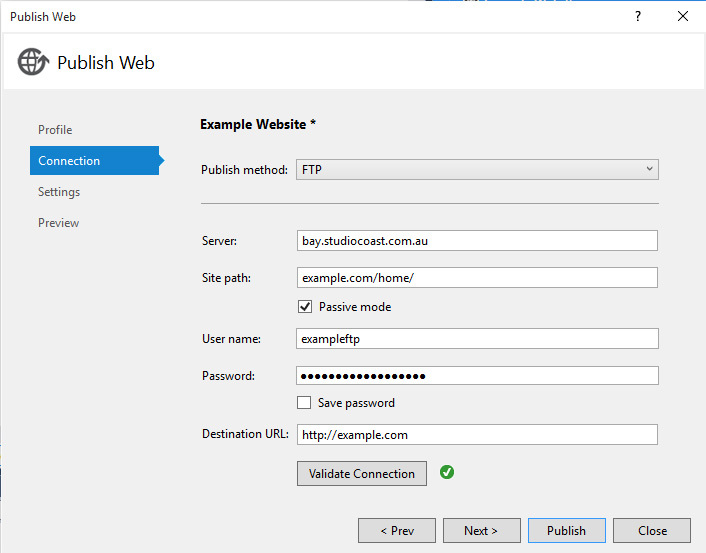 To publish a Visual Studio 2013 ASP.NET Project we will be using the FTP publish method from within Visual Studio (Web Deploy is not supported). Once in hostControl, browse to the "FTP Accounts" section, find the FTP Account which has the domain you wish to publish to and make a note of the connection details. 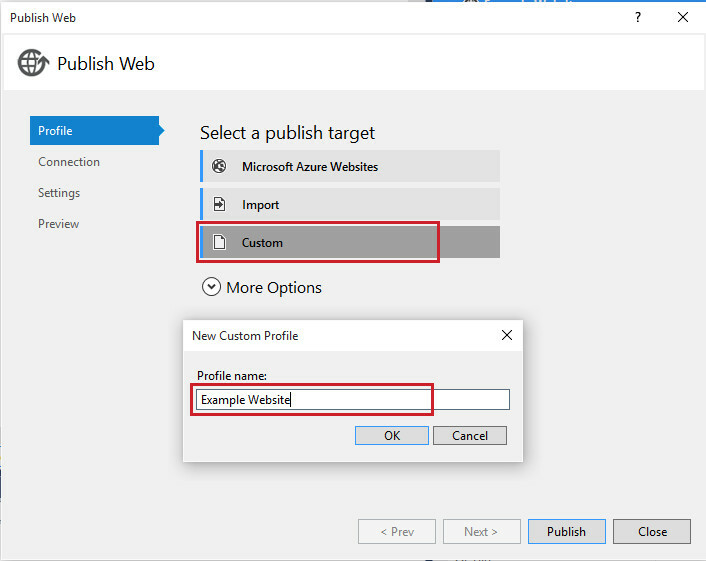 In Visual Studio either right click your solution and select "Publish Web Site". 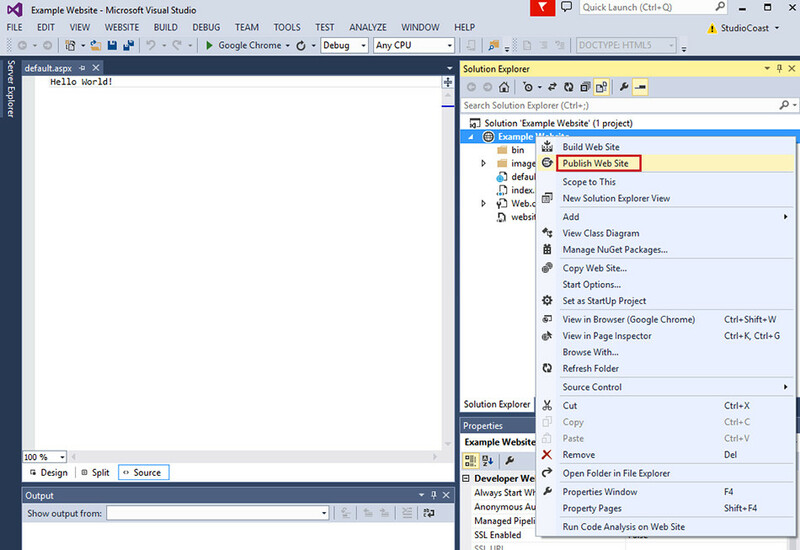 or go to the "Build" menu in Visual Studio and select "Publish Web Site". In the window that appears, select the "Custom" publish target option. Then in the 'New Custom Profile' popup, give your Profile a Name (this is to help you identify it only). Then fill in the fields as per below. Once your settings have been filled in, you can select the "Validate Connection" button to confirm your settings are correct. If they are correct, you will get a green tick. Publish Method: In this dropdown menu, select the "FTP" option. Server: This will be your FTP Account's Server name. Ensure you have checked the "FTP Accounts" section of hostControl to confirm this setting. User name: Your FTP Account Username. Password: Your FTP Account Password. Destination URL: Your full domain's URL. Once you have filled in your settings, you can either select 'Next' to configure additional settings (such as 'Delete all existing files prior to publish' or precompiling etc). Or go straight to publishing, by selecting the "Publish" button. 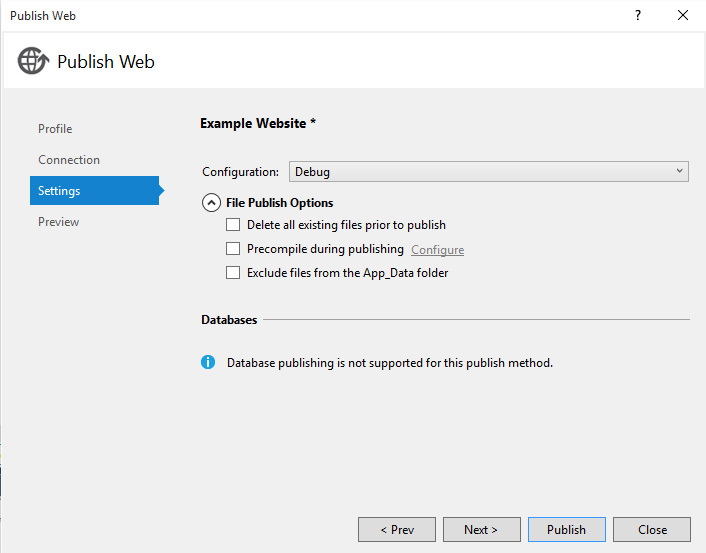 After that you should see your website being published, with some information showing in the "Output" section of Visual Studio. Once finished publishing, you can visit the Domain Name or Test Address in your browser.